This baby is definitely going to go places in her life with unlimited miles under her belt – and it’s all because she couldn’t wait a few more hours to be born. A woman started going into labor on a flight from Dubai to the Philippines. Two of the other passengers on the plane who happened to be nurses rushed to help as the plane made an emergency landing in India to make sure the mother would be okay. Another passenger had a suitcase full of baby clothing to offer the little infant once she was born. 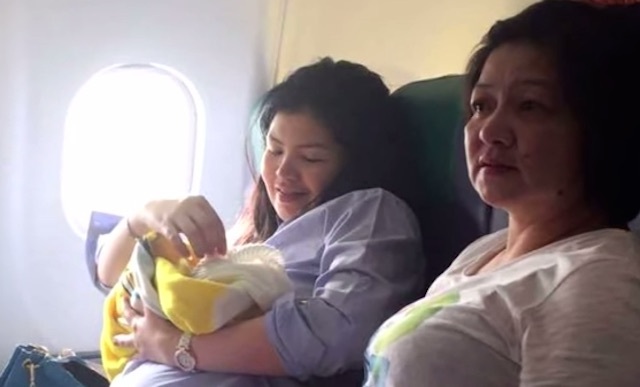 The airline, Cebu Pacific, rewarded the brave baby with free flights for life in honor of her early arrival.